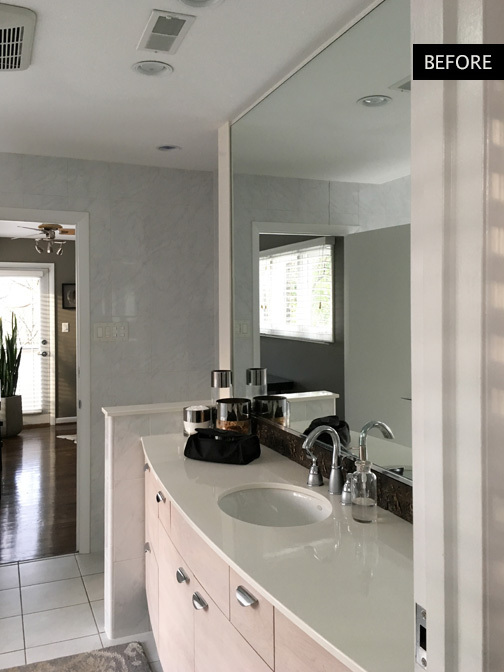 The removal of partitions and strategic installation of mirrors has let in more light to Tom Kraatz’s renovated master bath and created the illusion of a much larger space. 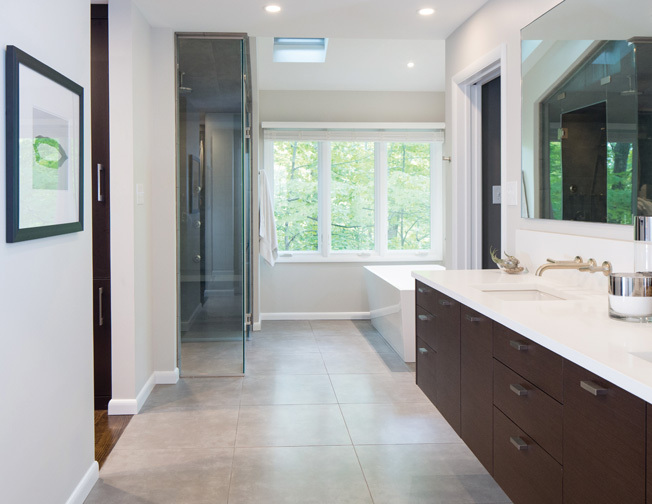 The old floorplan included two toilet-and-sink sets separated by a wall that ran parallel to a window by the tub, blocking the natural light from the rest of the master bath. 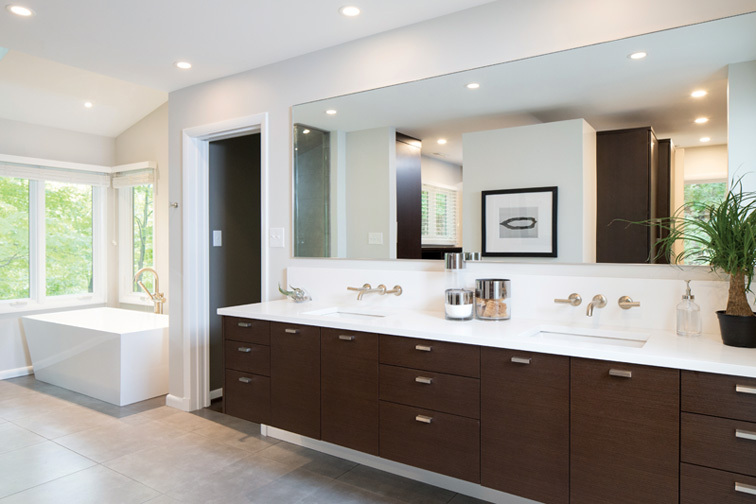 With the redesign, Keith Gegg of Gegg Design & Cabinetry kept the his-and-hers vanity and one toilet, and shifted them to the wall that lies perpendicular to the tub and window. The toilet is separated from the sink by a pocket door, and it was Tom’s idea to also keep the closets open near the ceiling to let even more light into the entire room. 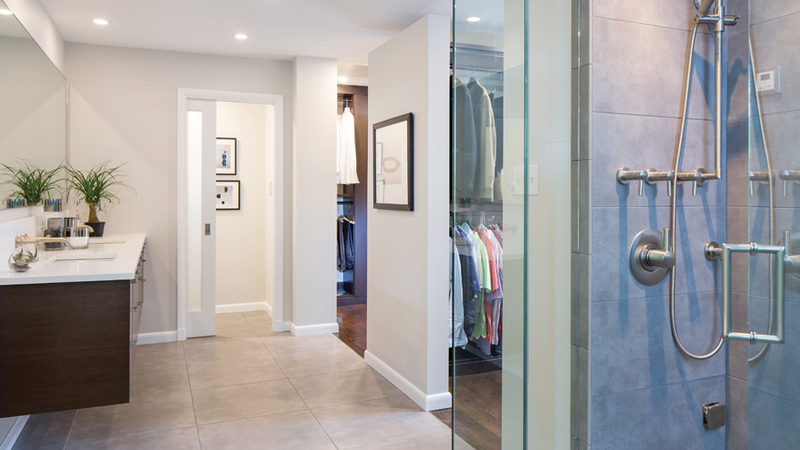 Keith further enhanced the lighting with can lighting strategically placed over the vanity and in the closets. With lighting addressed, he was able to warm up the room by replacing the stark-white — and rather dated — vanity with inviting dark wood. 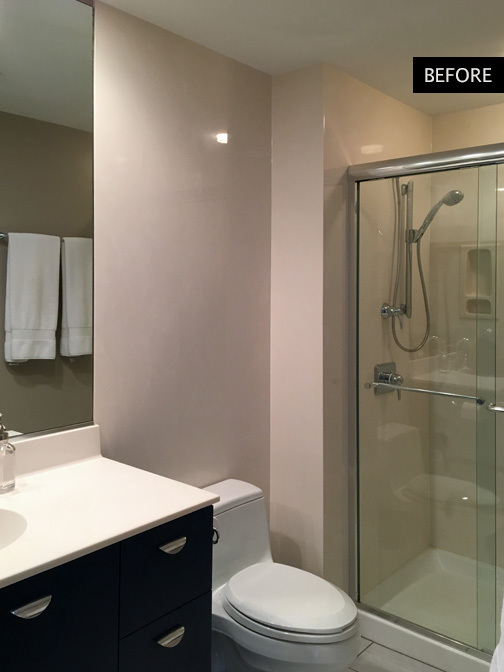 The tub is modern and sleek, while the new shower/steam area is larger and more open than the old shower had been. 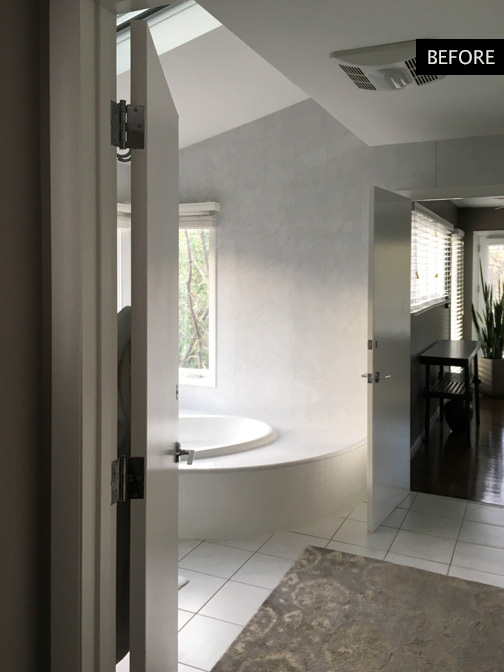 And, while the renovated master bath is physically smaller than the before — Keith moved the wall adjoining the master bedroom by 2 feet to make the bedroom larger — it looks and feels roomier and more luxurious.